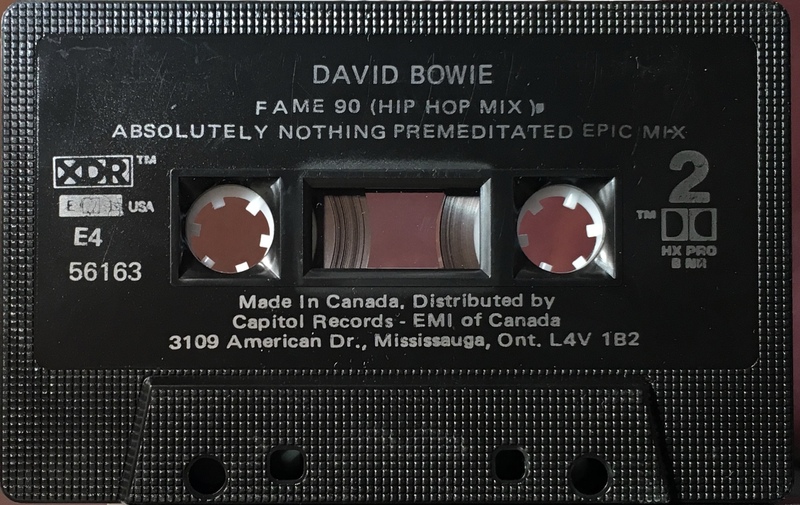 Fame ’90: Canada; RCA, E4 56163; 1990. 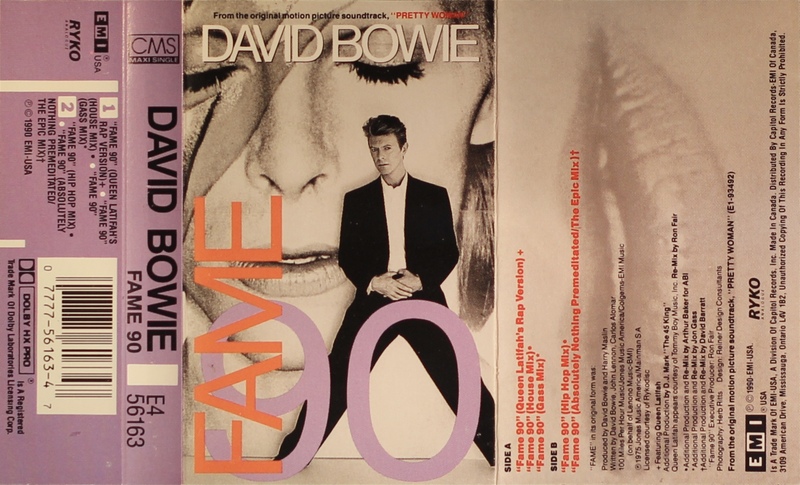 Full picture cover and inner panel with purple spine and rear panel on from folded, treated thick paper. The rear of the cover is blank. Track list on rear and inner panels. Grey ink printed directly onto black shell. ‘EMI USA’, ‘XDR’ and ‘HX Pro’. 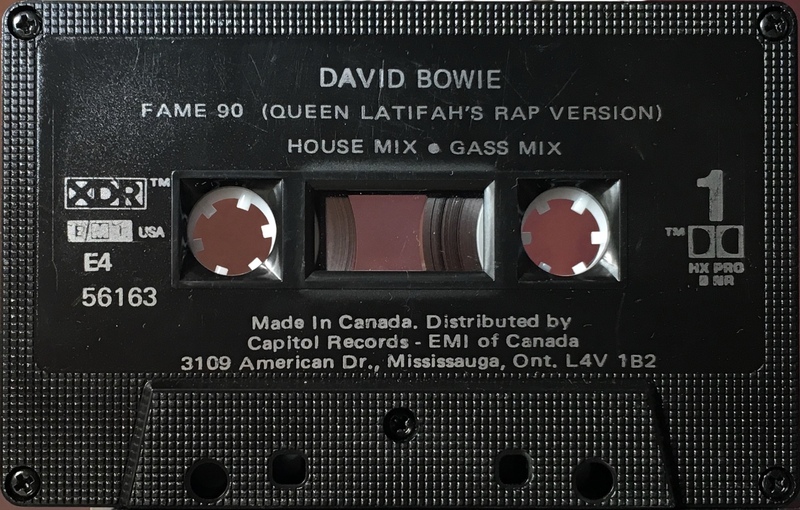 Side 1: Fame ’90 (Queen Latifah’s Rap Version); Fame ’90 (House Mix); Fame ’90 (Gass Mix).